It’s not easy these days feeling optimistic about American prospects for continued leadership and success in the world. The economy is hurting, manufacturing sits at a nadir, our collective debt — both public at private — is at an all-time high, and the things which once placed us on top of the heap have slowly become the province of other countries. The computer industry, the automotive sector, finance, and yes, even aviation. 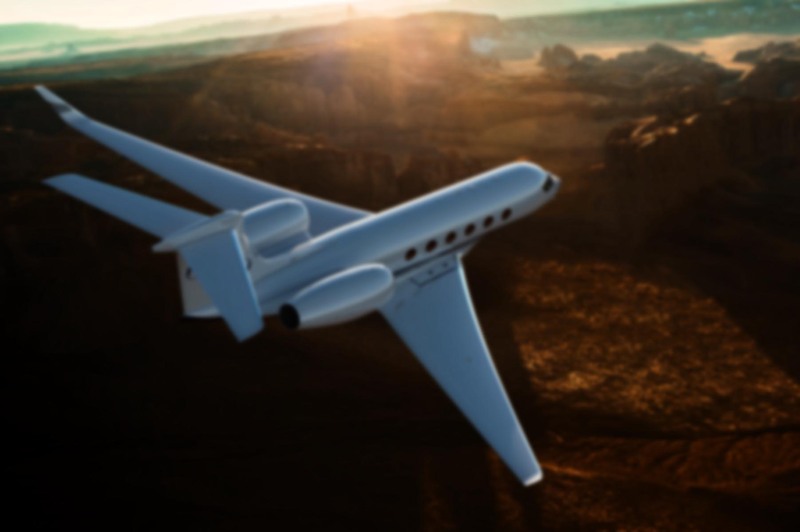 It wasn’t long ago that the idea of ceding leadership in the aerospace industry was unthinkable, but these days a new jet is as likely to come from Airbus, Bombardier, or Embraer is it is to emerge from the factories of Boeing, Gulfstream, or Cessna. Valuable assets in the general aviation sector such as Continental Motors and Cirrus Design are now foreign owned. 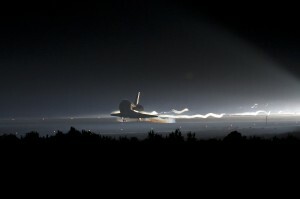 On top of all that, with today’s landing of the orbiter Atlantis, NASA’s 30 year space shuttle program comes to an end and for the first time since the mid-70’s leaves the United States without any way of putting a human into earth orbit. It seems like a major step backward, but a more sophisticated understanding may be required to make heads or tails of the place NASA currently finds itself. First, a little history. Truth be told, the shuttle program lasted far beyond 30 years. The oft-quoted 30 year number was simply the operational life of the actual spacecraft fleet. When you consider the concept, design, construction, and testing phases of the space shuttle, it literally encompasses the entire history of manned spaceflight. And perhaps that’s what makes today’s closure of the program so significant. President Nixon green-lighted the space shuttle in a speech on January 5, 1972 from the Western White House right here in San Clemente, California. But the history of the space shuttle extends even further back than that. T. A. Heppenheimer, in his fascinating book The Space Shuttle Decision (available online), writes about the institutional genesis of the shuttle program taking place at NASA’s Marshall Spaceflight Center in 1962. Just as a frame of reference, the first U.S. manned orbital spaceflight was that very same year. Talk about thinking ahead; we hadn’t even put John Glenn into orbit yet — heck, 71 of 102 launch attempts between 1957 and 1962 had ended in massive explosions — and already the folks at NASA were thinking about ways to increase efficiency and reduce the cost of space flight. An initial step toward reusability came at NASA-Marshall during 1961 and 1962, where engineers sought to learn whether a high-performance rocket engine could survive a dunking in seawater. They worked with the H-1, a standard engine from Rocketdyne that went on to power the Saturn I-B. Following immersion, investigators dismantled the engine, checked its parts for corrosion, reassembled it, and ran it successfully on a test stand. Thus, it was proven that this powerful engine, rated at 187,000 pounds of thrust, could withstand a bath in seawater and return to service. The next question was whether a Saturn-class first stage could be recovered for reuse. There was considerable interest in using a flexible and deployable wing invented by Francis Rogallo of NASA-Langley. The “Rogallo wing” later found its niche as a type of hang glider, allowing enthusiasts to fly from clifftops and soar on uprising air like birds. It also was used as a directional parachute, permitting a large booster to descend by gliding to a designated recovery point. Studies showed that this approach would not work with existing first stages such as the Saturn I-B. Because they had not been designed for recovery, they lacked the storage room for the furled Rogallo wing. Thus, it would not be possible to introduce reuse by the simple approach of mounting a deployable wing to a Saturn booster. Studies funded by NASA-Marshall, under the name “50- to 100-Ton Payload Reusable Orbital Carrier,” showed, however, that NASA might achieve better results by installing fixed wings on the Saturn V’s first stage. The new first stage would use that booster’s standard engines, adding landing gear, a pilot compartment, insulation to protect against the heat of atmosphere reentry, and large wings, sharply swept, with big vertical fins at the tips. These modifications would add 300,000 pounds of weight. The second stage, however, would retain its full lifting power. Thus, the payload would be decreased by only 20 percent. From that glorious history, we fast forward to 2011, and we find ourselves unable to get a person into orbit without hitching a ride with the Russians. I can’t help but wonder what an astronaut in the late 60s would have thought if you’d told them this is where we would be nearly a half-century later. This isn’t the first time we’ve found ourselves in this position. From the end of the Apollo program in 1975 until the launch of the first space shuttle in 1981, we also had no human spaceflight capability. So it begs the question, is this just another transitional period for NASA or the decline of a once great space program? Nobody can answer with absolute certainty, but I would argue that the answer is a bit of both. NASA Administrator Charles Bolden recently wrote of the agency’s new mission to focus on flight beyond earth orbit, specifically back to the Moon, to Mars, and to land on an asteroid while relegating orbital flights to the International Space Station to private companies. On this point, I agree with the Bolden. We cannot rely on other nations for our orbital spaceflight needs. We have far too much invested in the space station to allow for the possibility of politics cutting off our access to it. Besides, NASA has done orbital spaceflight for fifty years. It’s time to move on and turn the orbital task over to private companies. While no company currently has manned orbital capability, at least one of them is close. SpaceX, a private company based just down the road in Hawthorne, CA, has successfully launched their series of Falcon rockets and has made an unmanned orbital test flight of the Dragon space capsule. They have help and funding from NASA and are probably not far away from a manned orbital flight. SpaceX also has impressively low operating costs for their rockets. The topic of NASA’s ability to achieve the goals Bolden listed for the agency are a tougher nut to crack, because they’re expensive, long-term tasks which require significant funding supplied over a long period. The science to do these things already exists. It existed, for the most part, in the 1960s. The limiting factor now is politics. NASA needs long term dedication from Congress and the executive branch in order to achieve the moon and Mars, and without a Cold War-like situation, it’s hard to see where that motivation will come from when the nation is faced with $14 trillion in debt. Depending on how to look at it, the true federal obligations could be closer to $40 trillion. The political situation is so myopic that nobody is even looking beyond the next debt ceiling increase. A long term funding agreement for NASA seems unlikely. What’s more probable is a changing series of budgets, goals, and leaders which will make progress toward NASA’s ambition goals a slow and unsteady thing indeed. One need look no further than the Constellation program, which was touted and then cancelled in favor of a less ambitious goal. Along with supporting the ISS and commercial crew transportation, NASA will pursue two critical building blocks for our deep space exploration future — a deep space crew vehicle and an evolvable heavy-lift rocket. As you know, we have made a decision to base the new multi-purpose crew vehicle, or MPCV – our deep space crew module — on the original work we’ve done on the Orion capsule. We’re nearing a decision on the heavy lift rocket, the Space Launch System, or SLS, and will announce that decision soon. I wish it were as easy at Administrator Bolden makes it out to be. What he doesn’t talk about is the money. This is why the shuttle had to be retired before another manned spaceflight capability was available: there simple isn’t enough funding to do both. We can pay for the shuttle — an expensive 1970’s system which is incapable of travel beyond earth orbit — or we can put that money toward developing a new system. Ironically, one could argue that the “new system” (called Orion) is an enlarged version of the Apollo program hardware of the 1960’s. Is this progress? Perhaps. I’ve watched the development of the Orion craft, and the further it goes, the more it looks like Apollo. I’m no expert on the space program, so perhaps it’s an acknowledgement of how right they got the designs back in the 60’s. If I had to bet on who would achieve their goals first, best, and most inexpensively, I’d have to bet on the SpaceX’s of the world. I have the greatest admiration and respect for the nerds (and I use that term lovingly) at NASA, but their goals require far more funding, long term planning, and vision than orbital spaceflight. It’s easy to see that we need to get into orbit. We have people and a space station up there. They need food, supplies, and a ride home. Any knucklehead in Congress can get that. Taking the “next step” in human space exploration is NASA’s job, and it’s too hog-tied to a fickle Congress for me to bet on their success. If President Obama loses the 2012 election, there will also be a new executive in the White House with his own idea of what NASA should be focusing on. Sad to say, the only true way of assuring consistent funding and focus on our space program would be a significant challenge from another superpower. In the end, perhaps it’s not a presidential diktat but rather China which will propel us once again toward the stars. We have peed away 50 years. Things that should have been done in space were not done, as Shuttle and Station continued to consume every resource like Molokh. I’m very happy that the nightmare of Shuttle is coming to an end. Unfortunately, its root cause is not: we have jobs program, not space program. As long as that continues, accomplishments in space are going to play second fiddle to accomplishments in job creation. Even now Congress have mandated SLS, which does absolutely nothing except sustaining employment numbers in North Alabama and Utah. The only hope for exploration, Commercial Crew (CCDev) is on the chopping block in Congress. I fully expect Congress to do the dumbest thing and keep Orion and SLS alive while chopping CCDev. It is not eating seed corn, it’s burning seed corn.